Please click and follow the link below to see a tutorial video on a user's guide to the Healow app! Welcome Sumner County Government and Sumner County Board of Education. 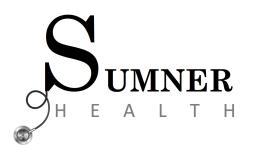 Sumner County has partnered with One to One Health to provide you with additional health benefits and resources. One to One Health is a physician led, corporate health management company. Comprised of high value physicians, care coordinators, and nutritionists; we offer high quality, low cost health care focused on improving employee health. Our comprehensive team of health professionals strives to provide high quality care, while being mindful of controlling costs and improving patient satisfaction. One to One is carefully constructed of providers who share the same goals and are invested in the health and wellbeing of the community and surrounding areas. ​Look for upcoming information about us from your benefits center. Please Note: Walk-in visits are for sick patients only. This includes patients with acute, sudden medical illness. All other visits including medication refills will need to be scheduled outside of walk-in hours. Primary Care. Pharmacy. Health Coaching. Wellness Programs.